Our roof repair experts at Quality Assurance Roofing can perform regular inspections on your roof to make sure everything is working at peak performance every time, all the time. 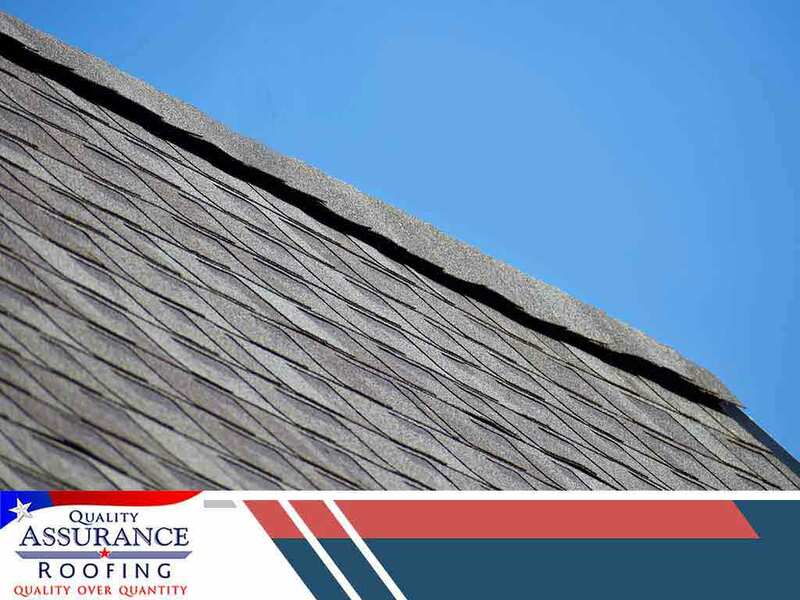 Our professionals follow a strict standard for inspection to ensure optimum roof coverage. As a homeowner, it helps to learn a few of our basic inspection methods to help you determine the overall condition of your roof. Plywood panels are often made from oriented stand boards (OSBs). These are comprised of a combination of reconstructed wood layers and veneers. To ensure proper installation, the grain of the OSB plywood must always be perpendicular to the rafters, with an eighth of an inch of space between panels. The “rough” side of the panel should also face the outside of the roof, i.e. facing upwards. Rafters offer structural support to the roof sheathing panels. No decent roofer will install rafters crookedly. All supports must be aligned perfectly to hold the roofing squarely in place. Over time, these can get out of place. If you notice misaligned rafters, call your roofing contractor right away. The National Roofing Contractors Association holds fastener positions at high standards. For example, panels must be nailed to the rafters and trusses at 6-inch intervals at the edges and 12-inch intervals in the middle parts. Areas suffering from frequent high winds require closer spacing between the fasteners, often at four-inch intervals at the edges and six-inch intervals at the support structures, for the first four feet at ridges, gable ends, eaves and walls. There are plenty more points in a standard roofing inspection, but these basic areas should be enough to get you started. If you notice any issues, call Quality Assurance Roofing right away. You can reach us at (479) 239-5469 or via our online contact form. Our services are available in Fayetteville, AR, and the surrounding communities.